High class colt Lean Mean Machine took a giant step towards emulating his sire Zoustar with a stunning first-up win in the G2 Run To The Rose at Rosehill on Saturday. 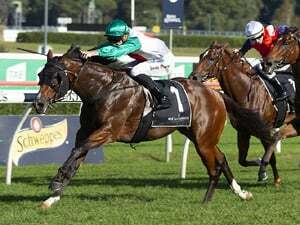 Lean Mean Machine’s impressive win over a crack field that included the previously unbeaten Graff and his highly regarded stablemate Zousain has placed him front and centre among the leading contenders for the $1 million Golden Rose (1400m) at Rosehill on September 22. 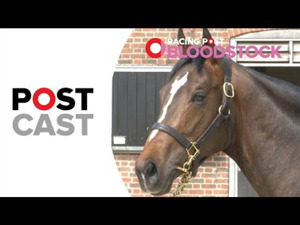 In its short history the Golden Rose, first run in 2003 and elevated to Group One status in 2009, has become a nursery for exciting stallion prospects. Seven of the last nine Golden Rose winners are now at stud, among them the 2013 winner Zoustar , the son of Northern Meteor who made a big impact with his first crop runners last season led by Magic Millions Classic winner Sunlight , G2 winer Zousain and Lean Mean Machine . A winner on debut at Warwick Farm in March, Lean Mean Machine was Group placed in his following two starts before he went to Brisbane to win the G2 QTC Sires’ Produce Stakes at Doomben defeating stablemate Zousain. He was spelled after failing in heavy going in the G1 J Atkins over 1600m at Doomben in June with his first-up win the Run To The Rose taking his record to three wins and two thirds from just six starts. Blue Sky Bloodstock’s Julian Blaxland purchased Lean Mean Machine for $250,000 at the 2017 Gold Coast Magic Millions Yearling Sale in tandem with Raffles Racing and Aquis Farm. The partnership obviously hold stud aspirations for the colt with Blaxland excited about his future. “He’s a Group 2 winning 2YO by a rising star in the stallion ranks so even if he never raced again he’d be quite a valuable prospect,” Blaxland said. Blaxland has a close affinity with the family as he purchased Lean Mean Machine’s dam She’s Meaner, a daughter of Falvelon, for $300,000 from the 2007 Gold Coast Magic Millions Yearling Sale. Bred and presented for sale by Glenlogan Park Stud, Lean Mean Machine was first inspected by Blaxland around six weeks prior to the Magic Millions. “He looked a little bit behind when I first saw him, but you could tell that he had a lot of style about him. By the time he got to the sales he looked fantastic and really hasn’t taken a backward step since,” Blaxland said. Lean Mean Machine is the third foal out of the Listed winner She’s Meaner, a half-sister to G2 winner and sire Love Conquers All (Mossman). She’s Meaner is out of the G1 winning mare She’s A Meanie (Prince Salieri), who has produced five winners from her six racing foals. Zoustar, who was crowned champion Australian first season sire last season by prize-money, will shuttle to Tweenhills Stud in the UK in 2019. •	The G2 Stan Fox Stakes, the other 3YO feature race at Rosehill last Saturday, was won by the progressive All To Hard colt Tarka. Withdrawn from the 2017 Classic Yearling Sale Tarka ( All Too Hard x Gayika by Galileo) is out of the unraced mare Gayika who has produced three winners from her four foals to race. Gayika is a sister to South African champion Igugu , a multiple G1 winning mare who was crowned Horse of the Year in South Africa in 2010-11. 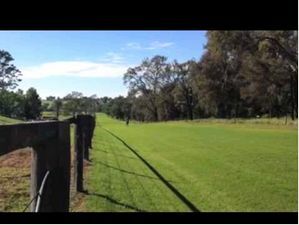 She is also a half-sister to Sydney G3 winner and G1 placed sire Honorius (Holy Roman Emperor) and another half sister, the Fastnet Rock mare Ngaga, was purchased a $250,000 yearling purchase for South African interests at the 2015 Australian Easter Yearling Sale and was a stakes winner last season. Gayika was bred by Malaysian billionaire and philanthropist Ananda Krishnan, owner of Kia Ora Stud in the NSW Hunter Valley. Gayika’s first foal First Commander only raced the once and her second foal was put down. 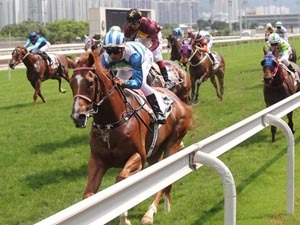 Her third Strike Sika was a multiple winner while Tarka’s year older full brother Overdose is a winner in South Africa. Tarka’s trainer David Payne also has a Deep Field 2YO from Gayika in training. Despite her stud record Gayika was sold to Kingstar Farm for just $23,000 at this year’s Australian Broodmare Sale just weeks before Tarka’s first start. Tarka becomes the sixth stakes winner by All Too Hard, joining Villermont, Demonetization, All Too Huiying, Unfair Dismissal and Curdled in his first two crops to race. The Stan Fox Stakes was Tarka’s fifth outing for his third successive win, taking his earnings to $159,750. Race Synopsis: Chris Waller-trained colt Lean Mean Machine, winner of the Sires' Produce Stakes (Gr 2, 1350m) at Doomben in May, scored an impressive first-up win. He settled back in third last place in the 11-horse field, tracking a solid pace. He looked for an inside run on straightening, finally got a split at the 250m and he then ran on strongly to score impressively. Quality colt Graff was caught midfield and wide from his outside barrier (11). He improved (still deep) to be fifth at the home turn. He moved up quickly at the 100m and then fought gamely for second after a difficult trip, his first defeat in four starts. Jonker showed good early pace to lead, was pressured in the mid-stages, and he did well in holding of for third at his second run this preparation after leading to the 100m. 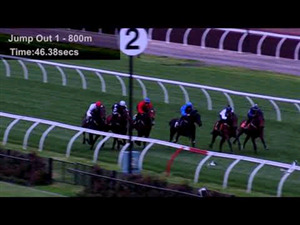 Zousain settled in eighth place, one of the rails, went widest of all rounding the home turn, got to fifth at the 200m and kept battling on nicely for (3.3 lengths) fourth in a sound effort at his first start since his second in the J J Atkins Stakes (Gr 1, 1600m) at Doomben in June.